The freestanding bath tub is still a sought after fixture in the bathroom. Most commonly installed in white, it certainly adds elegance and style to a bathroom, space permitting. 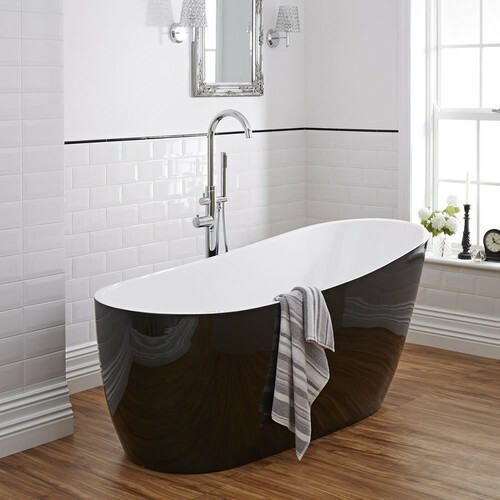 Black freestanding bath tubs are a bold choice and will dominate attention in a bathroom. This unique colour way is distinctive and pairs well in a black and white bathroom. In fact it certainly makes a visual statement in a bathroom that needs instant impact. 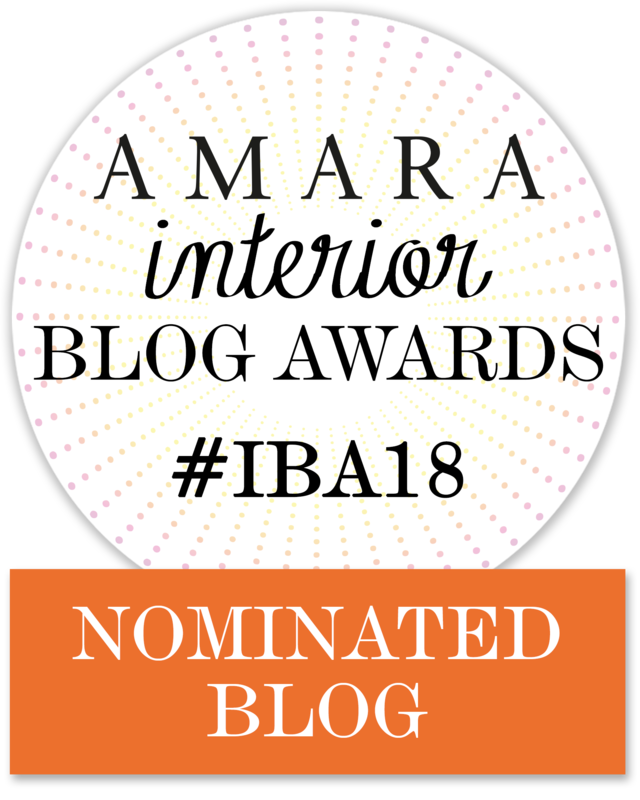 • A black freestanding bath tub demands attention. Don’t let it blend in a dark bathroom. Allow it to stand out. Choose pastel or lighter tiles so your bath is the hero piece in the bathroom. • Do consider the waste outlet location. Some freestanding bath tubs will only come with one waste location – either in the middle or at the end of the bath. The outlet location needs to be known before the plumber roughs in. It makes installing the bath easier at fit off. • All stone and ceramic baths should have extra floor support to sustain the weight. • Black freestanding bath tubs work well with all coloured tapware, but the best choices are chrome, gold or brushed metallics. • Make a note of manufacturers’ cleaning specs as some cleaners can be harsh on the black enamel. You want your bath tub to remain black, not a faded shade of grey. Although, it can be re-enameled in the future. 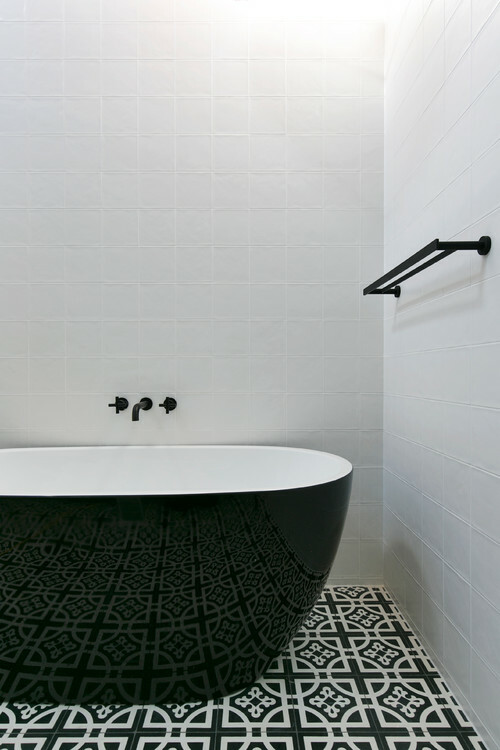 Here are some bathroom design ideas that have incorporated a black freestanding bath. 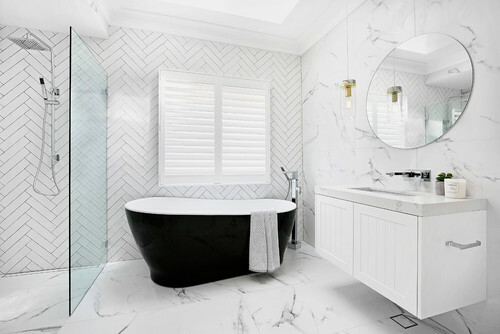 Are you a fan of the black freestanding bath tub… or is white your preferred choice? Previous articleBook a Weekend Away. It Will do You Good.